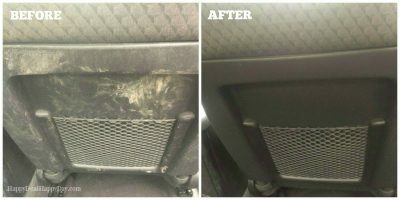 Clean Car Hack: How To Clean The Interior Of Your Car In Record Time Without Spray Cleaners or Paper Towels | Happy Deal - Happy Day! Or can you……??? 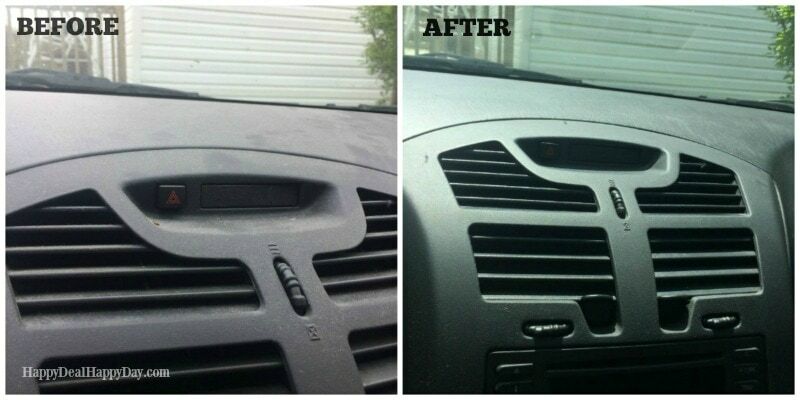 I’m about to show you the best clean car hack I know! 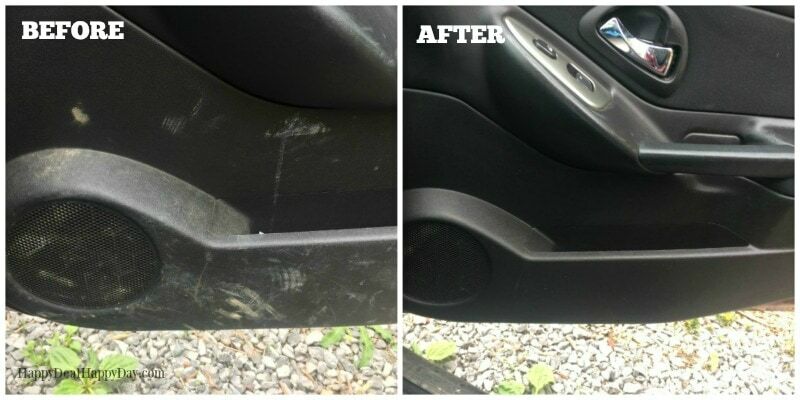 Do you ever wish you could wave a magic wand everyday to get a clean car? Would you be satisfied even if it wasn’t perfection – just at least so its not embarrassing!!?? 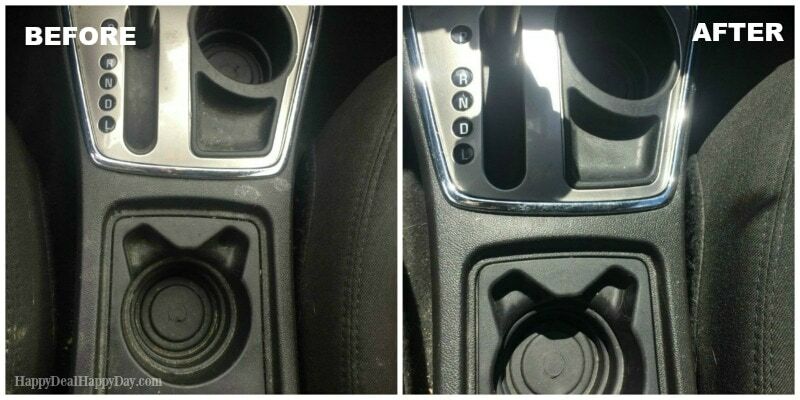 Have you ever told your kids not to put their dirty shoes on the back of the driver seat, but they inevitably do anyway? Do you have ketchup lingering somewhere on the inside of your car from a rogue french fry? Do you just let the dust keep collecting on the dashboard because its the middle of winter, and think that only crazy neat freak moms clean their car in the winter? Do you ignore how dirty your car windows are, especially in the back seat, because the kids just blow on it and draw pictures in the condensation anyway? 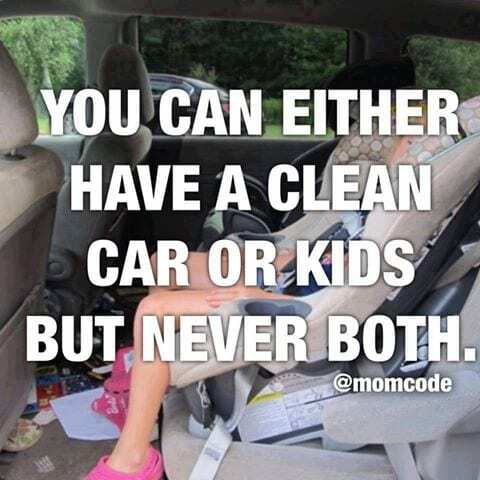 Do you dread cleaning your car because it means dragging out the vacuum cleaner, and the Windex, and a whole roll of paper towels and it just takes way too long when the kids will mess it up during the next ride? I personally answered yes to all of these. And while I am generally a clean person, my car is one area that I had just totally given up on attempting to keep clean since it quickly became a losing battle once I became a mom. But when spring comes along, my mom guilt sets in, and I eventually decide it was time to make the inside of my car a bit less embarrassing for any guest riders. This year when I did my car spring cleaning, I had a breakthrough moment that I just have to share with you! 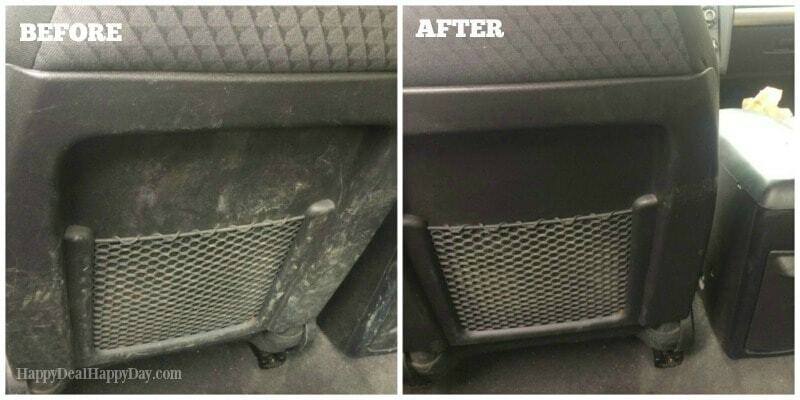 I was able to wiped down and cleaned the interior of my car without paper towels. I also cleaned it without using Windex. I also did not bring any other spray cleaners outside with me while I was cleaning. I also cleaned it in record time – maybe just 15 minutes to wipe it down, plus vacuuming time. How did I do this you ask? I used a Norwex Envirocloth and water – that’s it! 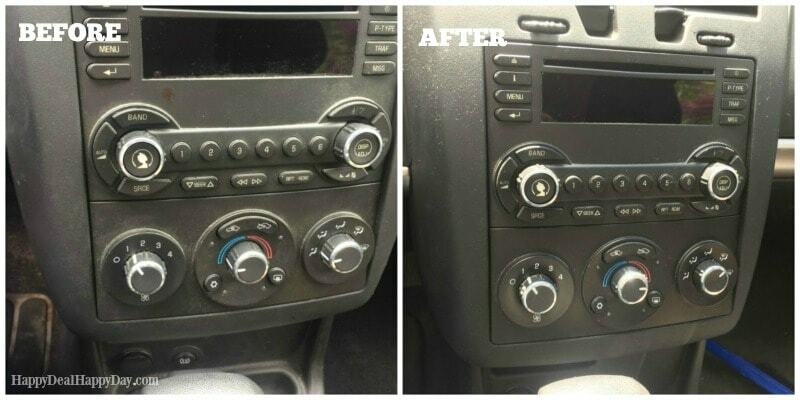 As you can see in all of these pictures, the before side is pretty dirty! I for sure had not cleaned my car since last fall. It was a dirty, ugly mess. And I just ignored it all winter long! Normally when spring rolls around I plan to set aside an entire afternoon to vacuum it out and spray it all down with Windex and other spray cleaners to get it back into shape. This year though was a different story. I did start by vacuuming the entire car and beating out the dust from the car mats. But instead of using paper towels and Windex to do a sort of ok job at wiping down the dirt and dust on the inside, I folded my Norwex Envirocoloth in fourth’s (so that there would be 8 clean sides to use) and proceeded to use that to wipe the entire interior of my car – and it took about just 15 minutes! I didn’t need to rinse out the cloth even once while I was cleaning. I just used all 8 clean surfaces which was enough to wipe down the entire interior of my car in no time. I didn’t have to inhale any cleaners in that enclosed environment. I didn’t use a bunch of paper towels that I normally filled a grocery bag full of, just to throw in the trash. It was the EASIEST and FASTED time I had ever spent cleaning my car. And I of course can’t help but recommend the same tip to you! 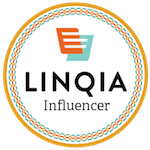 Want to know where you can get your own Envirocloth? I’m telling you that it’s worth every penny! Especially because when you add up the price you pay for Windex and Paper towels – the Envirocloth ends up being a cheaper option after just a few times you use it since you can now get rid of spray cleaner, glass cleaner, and/or paper towels. It’s healthier, cleaner, and over-all cheaper. Get your Window Cloth too and wipe the inside of your windows as you go. If you do that too, plus vacuuming, you should be able to finish cleaning in about a half hour. This is a chore that I could easily spend 2 hours on (which is why I avoid it like the plague) – and now that I discovered how easy and simple it is to just quickly wipe down the dirty surfaces of my car with just an envirocloth and water (plus the window cloth for the windows), I have no excuse to let my car get as dirty as I do now. This is just ONE way in which Norwex has made my life easier! Check out how Spring Cleaning in my house also got way easier. And check out how I now shave my legs without using bar soap or shaving cream anymore! ← Cool Camping Gear – Awesome Gadgets & Neat Stuff You’ll Want for This Summer’s Adventures!